During the last few years, Artificial Intelligence has found its way into our daily business. Especially with regard to customer care, AI offers new opportunities to automate and simplify processes. With a growing demand for chat platforms, companies can’t avoid implementing them any longer. 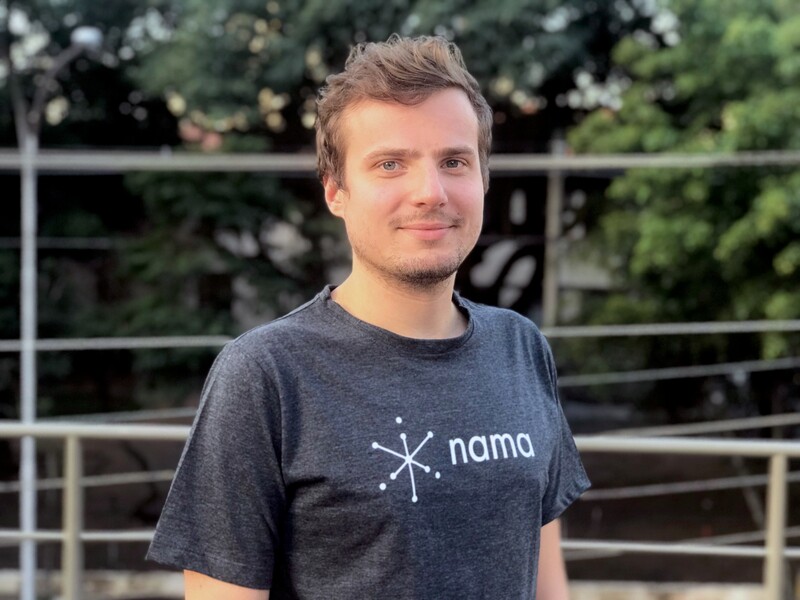 Rodrigo Scotti, founder and CEO of CODE_n Finalist Nama demonstrates how collaboration between humans and artificial intelligence revolutionizes the use of chatbots in the context of customer care. On your website, you talk about automating conversations to solve complex interactions. Could you explain your solution to us in more detail? 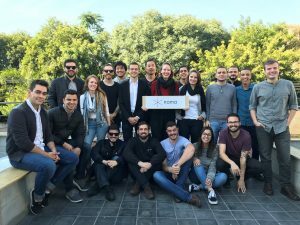 Rodrigo: Nama is an artificial intelligence (AI) company focused on practical Natural Language Applications. 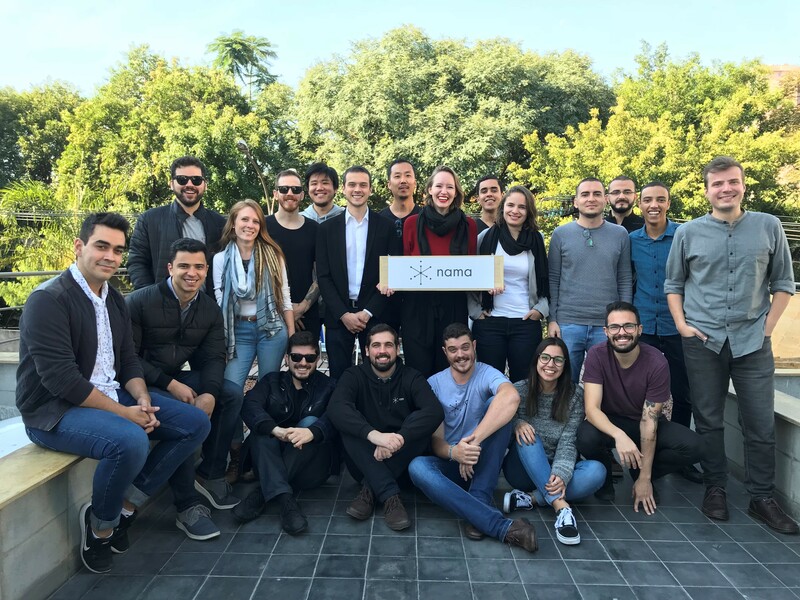 Nama has been the leading provider of automated chat in Brazil for the last year, holding the most impactful business cases in different verticals, with more than 9 million interactions between people and artificial intelligence during the last 20 months. What drives us is the belief in the construction of a simple tomorrow through the ability to solve complex interactions. Nama Platform enables a collaboration environment between attendants, managers, and bots by automating over 90% of the conversations and, at the same time, empowering teams with insightful information about their customers and suggesting suitable answers to their questions. A set of tools for designers and developers to create virtual assistants that can automate customer care conversations. A chat platform for customer care attendants to talk to customers and take hold of conversations that the chatbots are handling and receive AI-powered suggestions to answer their clients. What technology is your solution based on and how does it work? Rodrigo: Our technology is based on artificial intelligence, more specifically in Natural Language Processing (NLP). We use that technology to automate processes and conversations, creating a better experience for the end customer. We use deep learning with NLP to make the chatbot understand natural conversations, thus making the customer care flow less robotic and more natural. The chatbot then starts improving its performance, using deep learning to associate words that it does not understand to the activities that it was trained to do. In that way, the chatbot learns to understand, with its users, slang words, regional expressions and misspellings. Who is your solution for? What problems are you aiming to solve? Rodrigo: We live in a conversational economy era. We now see transactions made by conversations and new brand experiences anywhere and at any time. The customer care experience now moves towards chat-interface, a medium preferred by over 41% of people to interact with companies, compared to other traditional means of service such as teleophe or email. This growth of chat increases the demand for instant communication at scale. To fulfil this arising demand, companies have two options: (i) Hire more, which is very expensive and time-consuming, or (ii) create bureaucratic processes that seek to improve attendant productivity at the expense of customer experience. 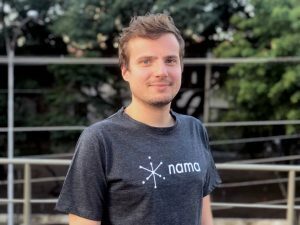 Nama’s solution seeks to overcome this trade-off by combining human and artificial intelligence to help companies provide great conversations at scale. Nama Platform takes care of all the process of creating a better brand experience, from the creation of chatbots to the empowerment of the attendants, with suggested answers and information about the customer. Do you think Artificial Intelligence will revolutionise the sector you work in? Maybe even our society? Rodrigo: Customers nowadays seek good, fast and seamless experiences with brands. With the growth of chat platforms, companies have no choice but to establish a presence in this medium. This medium, though, requires fast, immediate answers, that’s the whole point of chat. Solving this problem with humans only is very costly and is subject to standardisation issues. Artificial Intelligence in Natural Language Processing solutions can automate a great deal of this process. Training the AI to understand the most common situations in customer care takes off a lot of work from the attendants, leaving them to more consultative customer care operations. This way, customers who need to solve very simple matters will have immediate 24/7 answers and will be able to solve their problems right away. And customers with more complex issues will have an attendant ready to solve their problem. Before AI, this attendant would probably be caught up in minor issues, leaving the customer in the waiting line. Allying Machine and Human Intelligence is the key to dealing with the demands of the chat medium and of providing a fast and satisfying customer care service, for it can automate the most common conversations, leaving the attendants free to take care of more complex situations. That itself is a revolution on customer care Automation and it is also a revolution in the way we relate to companies and solve problems, bringing us one step closer to a simple tomorrow. Thank you very much for the interview Rodrigo!